Replacing your tyres leaves you with four old tires. Throwing or giving them away is one option, but there are other options, ones that are much more interesting and useful. 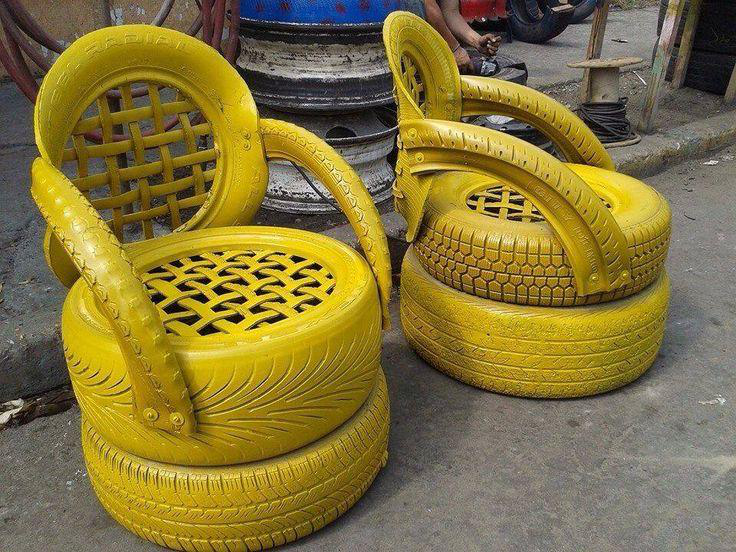 If you’re the creative type, you’ll know exactly how to recycle your old tyres, but even if you aren’t, there are things you can make from tyres that don’t require any special skills. Plus, if you include your whole family in the project, you’ll get to spend quality time with your children while creating something together. Replacing your tyres is the basic thing you need to do for your own and other people’s safety on the road. How often to replace them is determined by your driving habits and tyre maintenance, but also by the state of the roads. It’s important that you inspect the condition of your tyres at least once a month, checking the tread depth, looking out for uneven wear patterns, bulges or blisters on tyre sidewalls, lacerations, flat tyres or tread punctures. It would be best to replace all four tyres at the same time, since it’s important that they all match. You can find a great tyre dealer with a wide selection of premium tyres here. Make sure you go through the vehicle’s manual or talk to a professional before making a purchase, so that you’re properly informed of what exactly to buy. And as soon as you replace the old tyres with the new ones, the fun can begin. 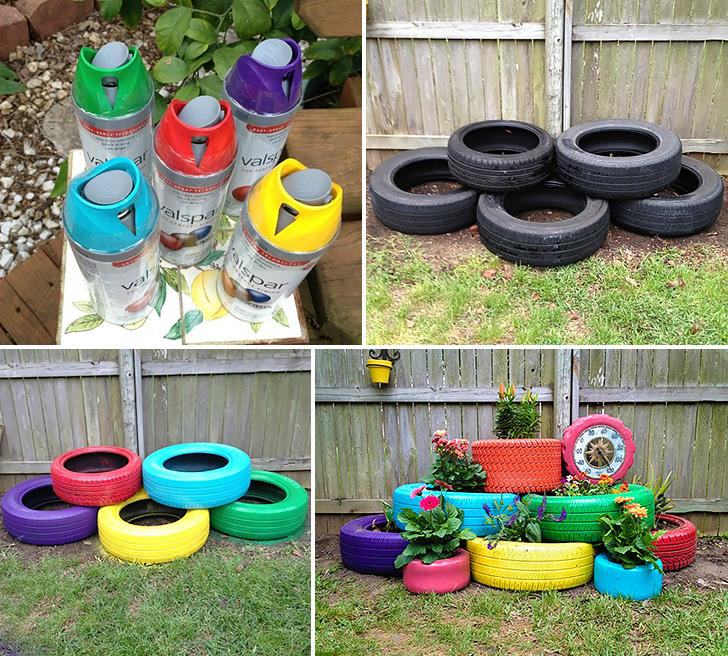 Here are some ideas for recycling tyres. 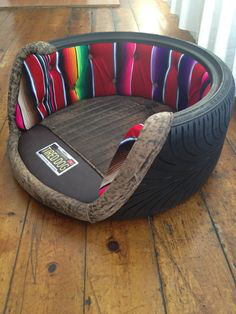 If you have a dog, use a tyre to make a bed for them. It’s an easy project and you can include your children by allowing them to paint and decorate the bed to their own liking. All you need is a used tyre, some paint and a cushion to place in the middle of the tyre, so that your dog is always soft and warm. This is another fun thing to do with your kids and for them at the same time. 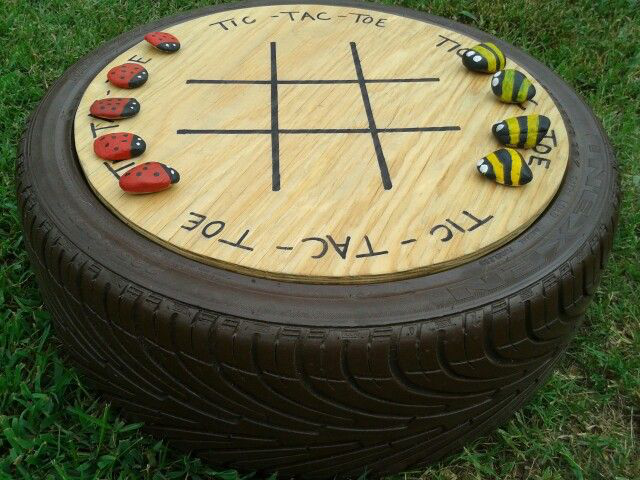 Use an old tyre, paint it the colour you and your children like and shape a wooden board to fit the centre of the tyre. Draw a hash and, instead of X’s and O’s, pick some stones of approximately the same size and use some paint to turn them into bees and ladybirds, or simply paint them two different colours. Let it dry and play a game or two with your little ones. These will go great with your new tic-tac-toe table. All you need are two (or more) tyres, two types of rope, glue and some patience. If your children help you with this one, pay extra attention to how they use the glue. You don’t want their delicate little hands glued to the tyre, or the rope at the end of the day. Turning old tyres into little rocking chairs for your kids is a simple task, but a very rewarding one, since they’ll probably love them and spend a lot of time on them. Cut a tyre in half, paint it, cover it with a wooden plank and add a handlebar. Instead of a classic handlebar, you can turn it into an animal head, to make the rocking chair even more appealing to your children. You have an old tree in your backyard? Perfect. 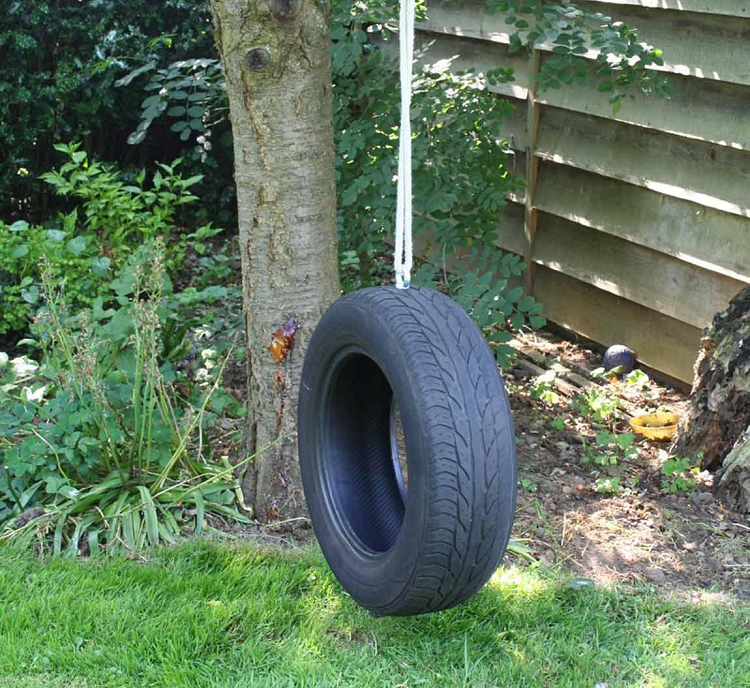 Find a stable branch and hang one or two old tyres on it using some rope. Of course, you get to decorate the tyres, or better yet, your children do. Make them nice and colourful, so that they make your kids cheerful as soon as they look at them. After only a few minutes on the swing, your child’s mood is bound to improve, so be prepared for some joyful giggles. When it comes to this particular project, the bigger the tyre, the better. Paint it, find a nice place to it in your garden, fill it with sand, stick a parasol in the middle to protect your children from the sun, and that’s all. 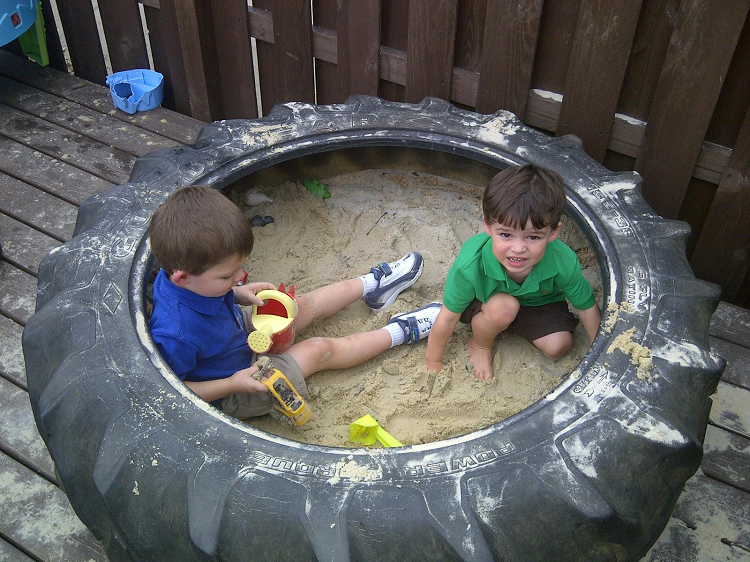 Let them bring their little shovels and other plastic tools for hours of carefree play. This is a perfect project for families with two or more children. If you build a seesaw, two children can play on it at the same time, avoiding an argument over who wants to go first. 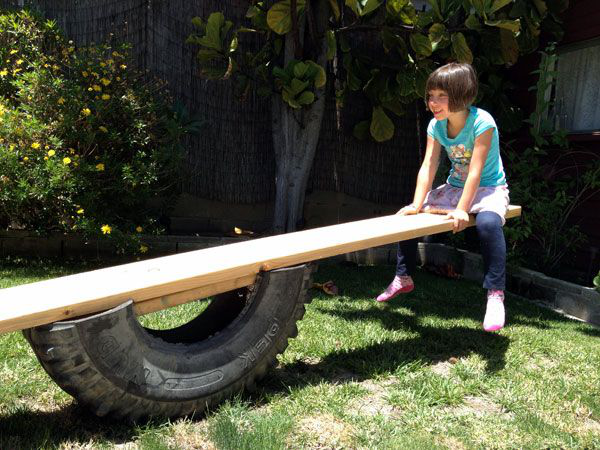 Use half a tyre, a long wooden plank and two handholds for each end of the plank. Pick a colour, or pick as many as you want, sit back and relax while your children play. There’s nothing as easy as turning used tyres into flower pots. Simply fill the centre of the tyre with some dirt and fertilizer and plant whatever you choose inside it. Leaving the tires black is an option, but why do that, when you can colour them, or even place them one on top of another to make a Minion, a frog, or even a well. These recycling projects can be a lot of cost-free fun. They can turn your garden into a beautiful and fun place for your whole family. So, start today and make some wonderful memories in the process.